First off, I have to apologize for all the different lighting in the photos. They were taken different days and at different times. Sometimes projects get done in between meals, cleaning, playing, etc. and it didn't help that I got sick this past week. My children love hooded towels and so do I (for them of course)!! Well, this year I decided I wanted to try my hand at them, especially since my children's old ones were becoming really old. Buy towels and hand towels. You only need one hand towel to make two hooded towels. I got all my full size bath towels on Black Friday at Walmart and they were less than $2 a piece--score! Cut your hand towel in half & use one half per bath towel. Fold the cut end of the hand towel up so that the wrong side is folded up. Use ribbon or fabric to cover cut edge. I used fabric because I wanted it to match my appliques. Place right side of fabric over top of folded edge and sew along cut edge of hand towel. Fold fabric up and top stitch. Fold under cut edge of fabric and top stitch. This will completed cover the cut edge of the hand towel so you won't have to worry about the towel fraying. This is what your hood should look like when you turn it right side out. Grab your bath towel, fold it in half and mark the center with a pin. With right sides together match the center of your hood to the center of the towel and pin in place. This is what it looks like pinned together. Sew through both layers being careful not to break your needle. This is what the hooded towel looks like finished. You can just stop here and let your children use them or you can follow along to see how I added appliques to the back of their towels. I used "HeatnBond Ultrahold iron-on adhesive" & ironed in on the back of the fabric I wanted to use. Because I need more practice with my Cricut I was not able to get it to cut my fabric, so I just placed the picture on the top of my fabric and cut out the shape. Then I just positioned the applique where I wanted it on the back of the towel & ironed it on. So that it will stay on even better, I stitched around all the edges of each applique. And now I have these cute towels for each of my children. Now they will always know which towel is theirs. I love the finished result and so do they! Thanks Lynne for helping me out!! *Hopefully I didn't make this look to complicated. This really is an easy project to complete. Love these! The applique looks awesome! those turned out sooo cute!! Great job. Great tutorial. The ribbon and applique really make these darling! Just adorable. Love the tutorial, your towels are cute. 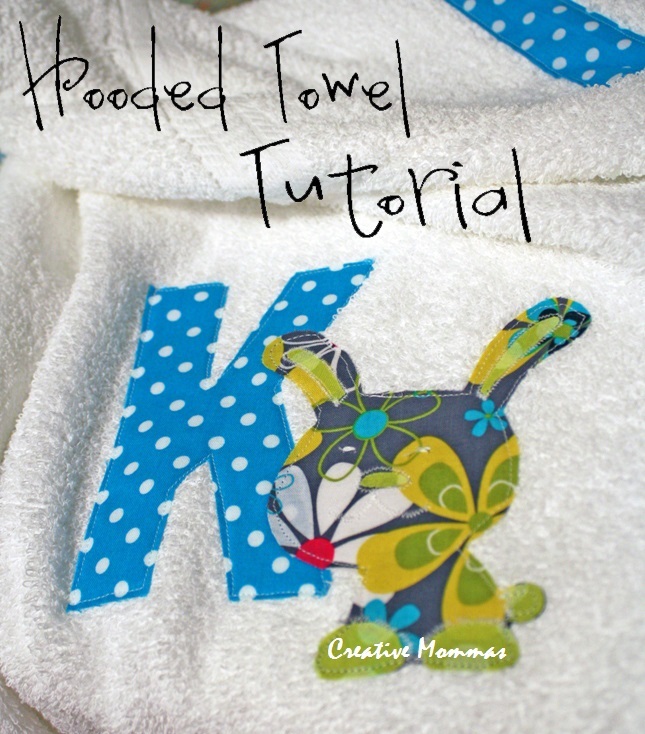 I love making hooded towels for my kids and friends, they are so easy to make and so fun to use! Wow, I love these. Nice work. How sweet! I'll definitely have to start making some of these before we head to the pool in the summer. My tiny toddler has finally outgrown her baby size hooded towels. Thanks for the tutorial! Once again! You gals hit it out of the park! This is such a great idea and super easy... way to customize and make some awesome gifts! 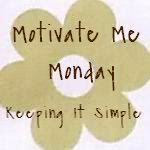 Thank you so much for linking up on Sew Woodsy! 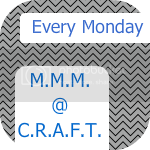 We featured your project today! I think I need to try this out! Thanks for the inspiration! I already applique everything else. I'm thinking these will make great gifts. So cute! 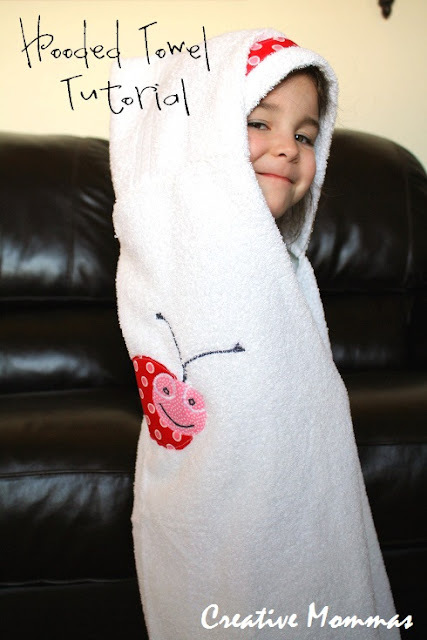 I received a hooded towel for my son before he was born and it's getting pretty shabby - I was wondering how it would be to make one myself - this looks super easy! Thanks for the tutorial! This is so cute!!! I want to make some for my grandchildren...thanks for the tutorial! Looks great. I bought the stuff for this today and them when I got home was reading blogs I found your toot. Perfect timing. I had the idea of how to do it and now I have the instruction. Thanks for the tutorial! I just made one for a Christmas gift, quick and easy!